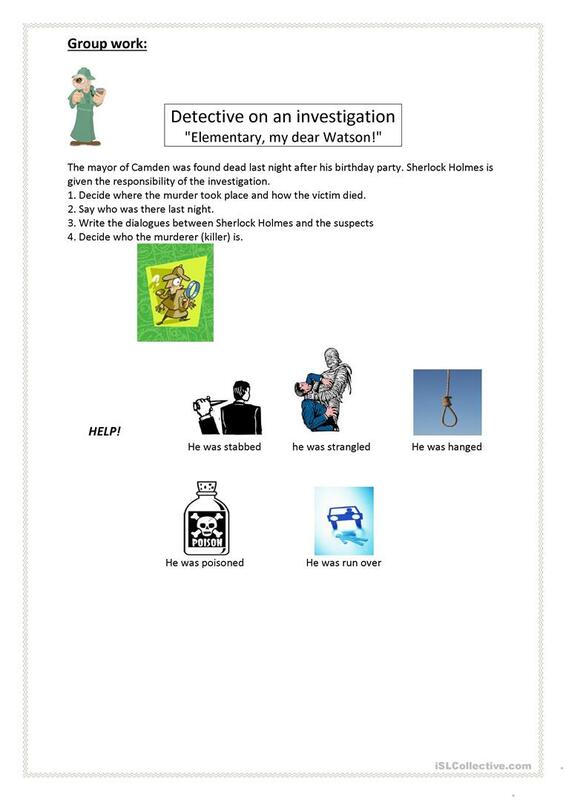 Writing task: write a detective story. "The mayor of Camden was found dead last night after his birthday party. Sherlock Holmes is given the responsibility of the investigation." The present downloadable worksheet was created for high school students and elementary school students at Pre-intermediate (A2) and Intermediate (B1) level. It is a useful material for consolidating Past simple & continuous tense in English, and can be used for improving your class' Writing skills.